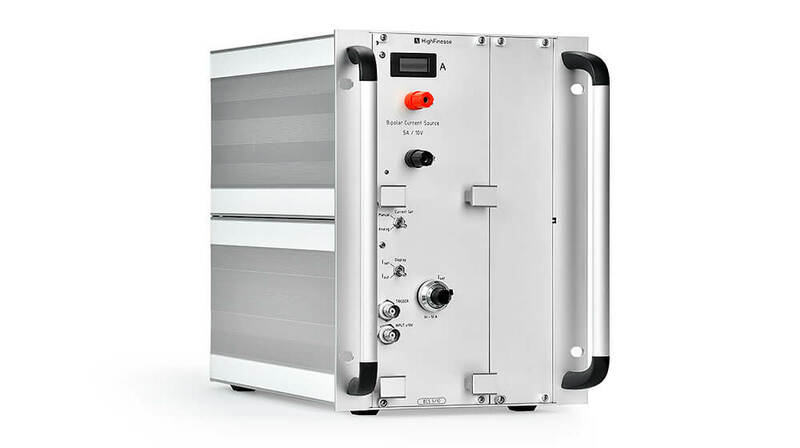 The BCS series (up to 20 A) comprise all functions of a precision current generator in a compact device. The linearly regulated bipolar current generators deliver highly stable, low noise source currents for high precision magnetic field control. The current output is either floating or on a used defined potential. Ultrafast response to control signals and trigger functions, clear grounding, connection and signal isolation schemes make the integration of the current sources into complex experimental systems easy. The devices of our compact series will be delivered in rack mountable 6U case. A compact 3U case is available for the SMD series. On request multiple current sources can be combined in one case to fit 19" width. Performance of bipolar current source to the limits – with compact circuit boards and SMD components, the SMD series reaches lowest noise level and fastest response.